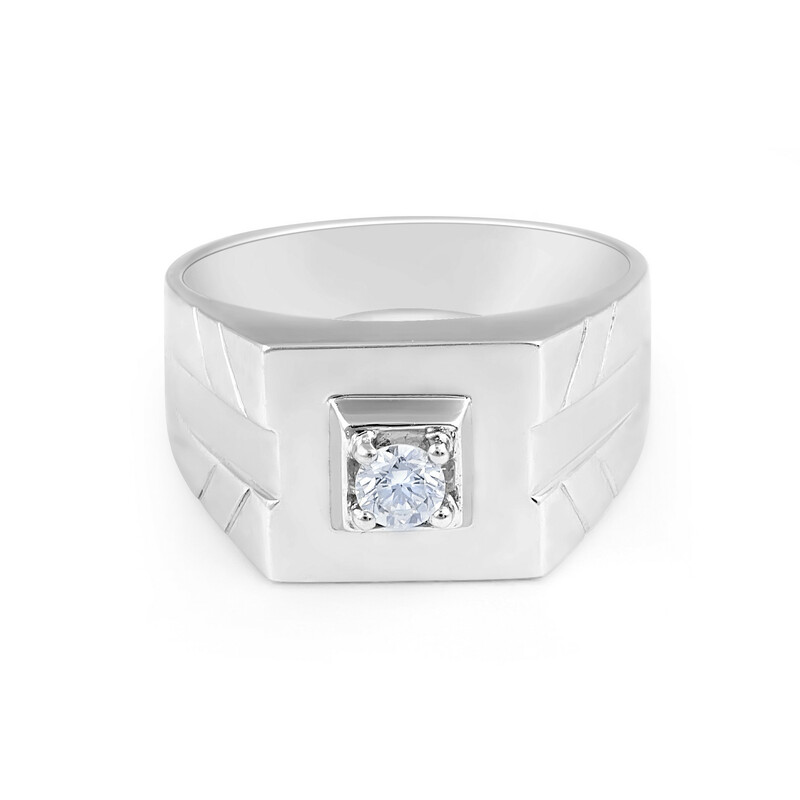 Modern classic design 18 Karat white gold gent's diamond wedding band handsomely set with a single solitaire on a square solid band, giving the ring a masculine appeal! A perfect ring for the modern man looking for a solid and masculine ring! 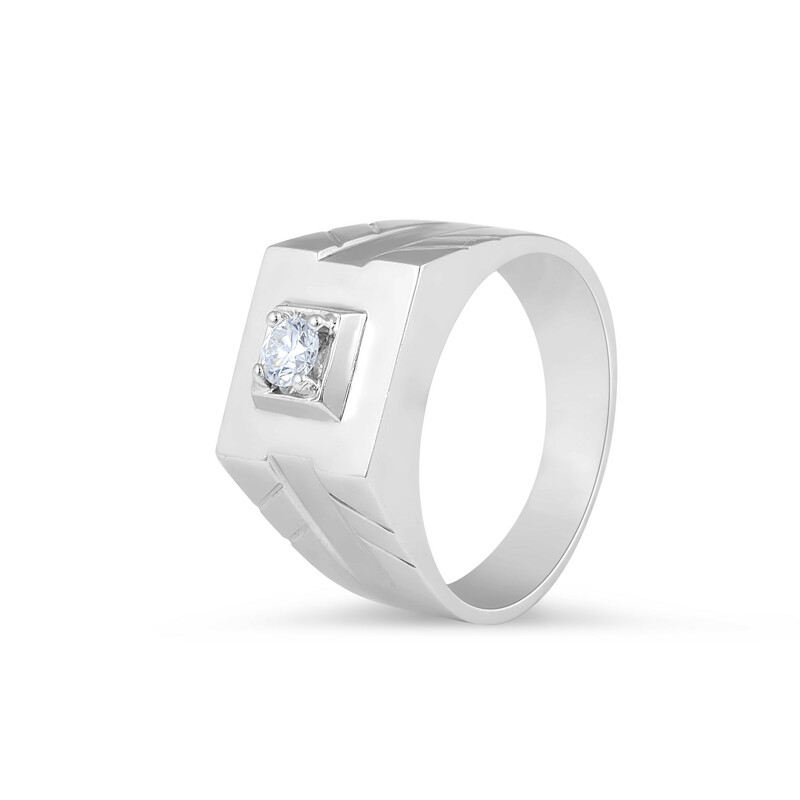 18 Karat gold, solitaire, gents diamond wedding band 1 Round Diamond: 0.21 Carat Gold Weight: Band Width: 4.4mm.